Carrera CA1100/V is a Full Rim frame for Men and Women, which is made of Stainless Steel Front and Acetate Plastic Temples. Hypoallergenic and nickel free, stainless steel is great for active eyeglass wearers because the frames won't lose their shape nor will they corrode or rust when it is exposed to water. -- Acetate is the most common material used for frame manufacturing. It has endless possibilities for color, texture, and patterns. It can even be laminated to create great visual effects, and it can retain a higher luster. Acetate is lightweight, so it is often chosen for its versatility in coloring as well as for its comfort. Acetate is made out of cotton seed fibers and plasticizers. 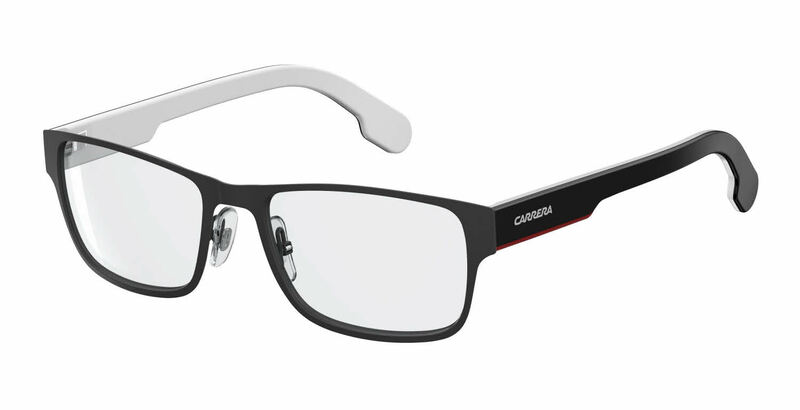 Carrera CA1100/V Eyeglasses come with a cleaning cloth and protective carrying case.